As a manager, how do I approve time off? 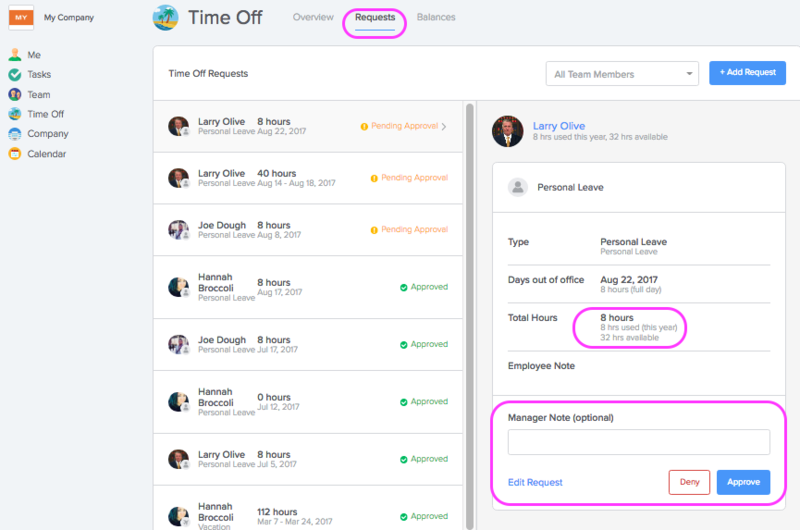 When an employee submits a time off request, this will generate a notification in GoCo for their manager to review the request and either approve or deny the submission. Managers will be notified of the request notification via email per your email settings. When a manager either approves or denies the request, a notification will be generated back to the employee regarding the status of the request. To view and respond to the request, login to GoCo. Then, click the Time Off tab on the left-hand side of your screen. 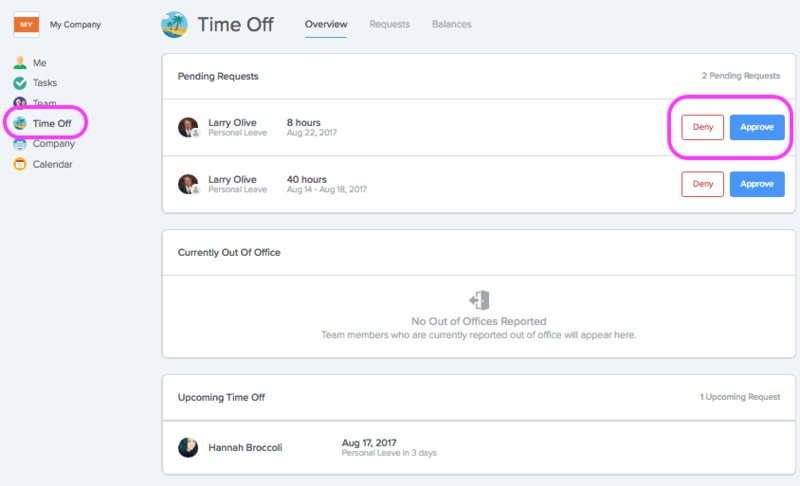 This will take you to the Time Off overview for your team members, which provides a list of requests, anyone currently out of the office, and anyone with upcoming time off. If you have no other questions about the request, you can approve or deny the request directly from this screen. Please note: replying to the notification email of the request submission will not approve or deny the request. If you need to edit a request (change dates, hours, etc...), navigate to the Requests tab as shown above, and click the small blue link that says "edit request".